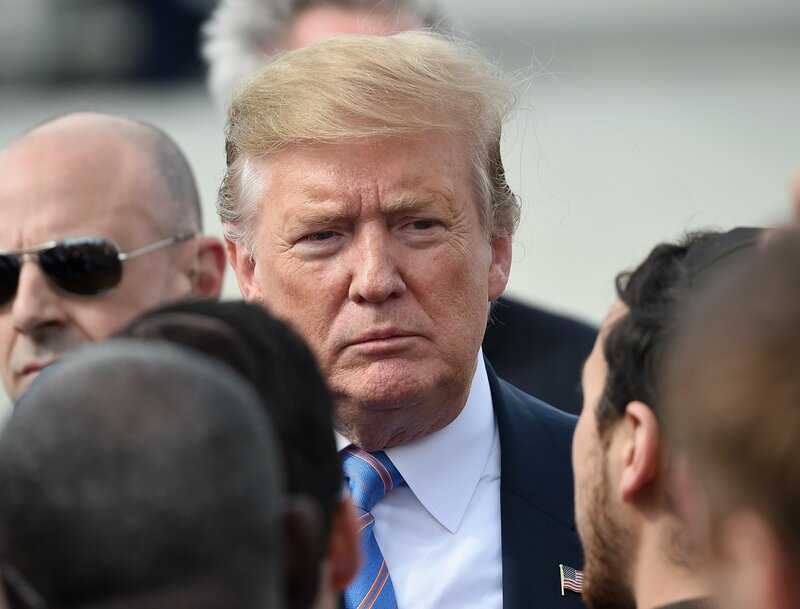 As meteorologists predict heavy rainfall and warmer-than-usual temperatures for this spring, combined with snowmelt and runoff in the major upper river basins, the National Oceanic and Atmospheric Administration said half the country could see major flooding in the next two months. 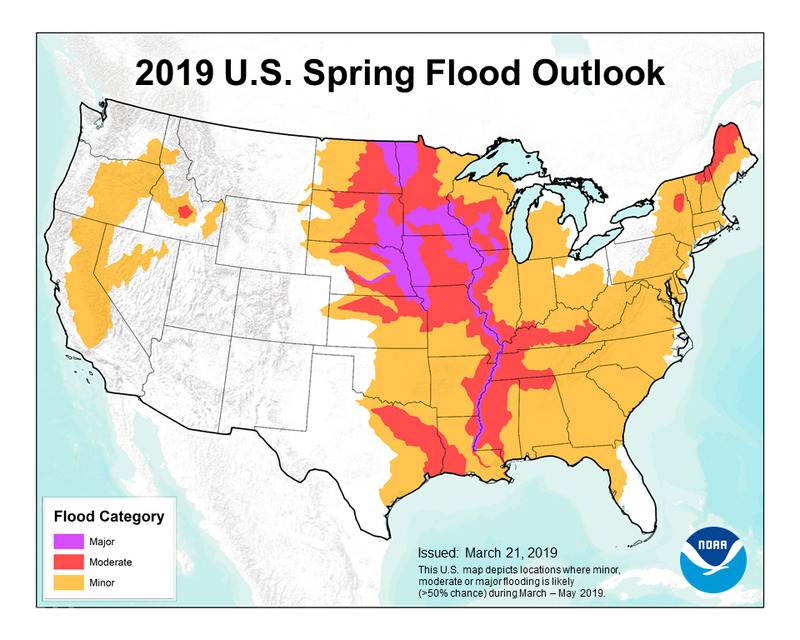 The NOAA announced Thursday that approximately two-thirds of the 48 contiguous states could see a higher risk of flooding this spring, with 25 states facing the possibility of major flooding. The epicenter of major flooding forecast is where recent floods have already devastated the heart of America from rapid snowmelt. Late-season snow, heavier-than-normal rain and saturated grounds have already caused dangerous flooding and has made things soggy. With the wet spring forecast, the National Weather Service has already begun working with communities across the Midwest, as well as the Mississippi and Missouri valleys, for emergency planning, NOAA acting administrator Neil Jacobs said in a report. The heaviest flooding is expected in the upper basin of the Missouri River, starting along the border between North Dakota and Minnesota and flowing southward along the Nebraska-Iowa border and into Missouri, which is expecting moderate flooding across the northern half of the state and on the east border with the Mississippi River. Minnesota is expecting heavy flooding across the southern portion of the state, and areas along the Mississippi River from upper Minnesota all the way to south Louisiana should expect major flooding, according to the report. Some of the areas in the northern part of the United States along the major river basins received snow and rain nearly 200 percent of their average this time of year. “The areas of greatest risk for moderate to major flooding include the upper, middle, and lower Mississippi River basins including the mainstem Mississippi River, Red River of the North, the Great Lakes, eastern Missouri River, lower Ohio, lower Cumberland, and Tennessee River basins,” the report read. Parts of Texas, Kansas, Kentucky and Tennessee could receive higher-than-normal flooding this spring, and every state east of the Rockies to the Atlantic Ocean is expected to receive some type of flooding. Mountain flooding is also expected in California, Oregon, Washington and Idaho. Ed Clark, director of the NWS in Tuscaloosa, Alabama, said downhill runoff from north to south will make flooding tough in the next few weeks. FEMA Deputy Administrator Daniel Kaniewski said residents who don’t live in the highlighted areas that have an elevated risk of flooding this spring should still beware of severe weather where they live.